A previous version of this article incorrectly identified who owned a TV. The article has been updated to reflect the most accurate information. Every year in April, crowds gather on Court Street to hear music and dance. It’s very different from a spring fest in which DJs blast music and students jump to the beat. On the stage next to College Green, dancers dressed in different attire move to the music and to the audience clapping rhythmically. The dancers on stage move their feet rapidly or stomp on the floor and clap, creating their own beat and posing in ways the audience has not seen before. They come from different countries, but they all move for the joy of it, to feel connected to their history and families miles away. The International Street Fair evokes different cultures to come out and move, all of them connected in a common language. With more than 1,000 international students from over 150 countries, Athens is interspersed with hundreds of different cultures, each with its own music and dance. With the World Music and Dance Festival this week and the upcoming International Street Fair on Saturday, international students shared the significance behind their local dances. To Yenuel Jones Alberty, salsa dance is like the color red: vibrant, energetic and full of life. “It’s all those emotions where you’re euphoric and ecstatic,” he said. Alberty, a first-year graduate student studying physics, grew up in a family passionate about music and dance. Alberty’s father, who studied musical education, played him Johann Sebastian Bach since he was 2 years old. His cousin, a ballerina with experience in many different dance styles, accompanied him to his first salsa course when he was in middle school. His family always has music playing and dances together. Like most music in Latin America, salsa is of African descent. It originated in 1950s New York City, created by Cuban and Puerto Rican musicians. Its roots are grounded in bomba and plena, dances created by slaves who were brought to the Caribbean. The Africans who were brought there used music and dance as a form of communication and also as a way to worship gods that the Europeans prohibited. Salsa has become a melting pot of Spanish, jazz and African influences, Alberty said. 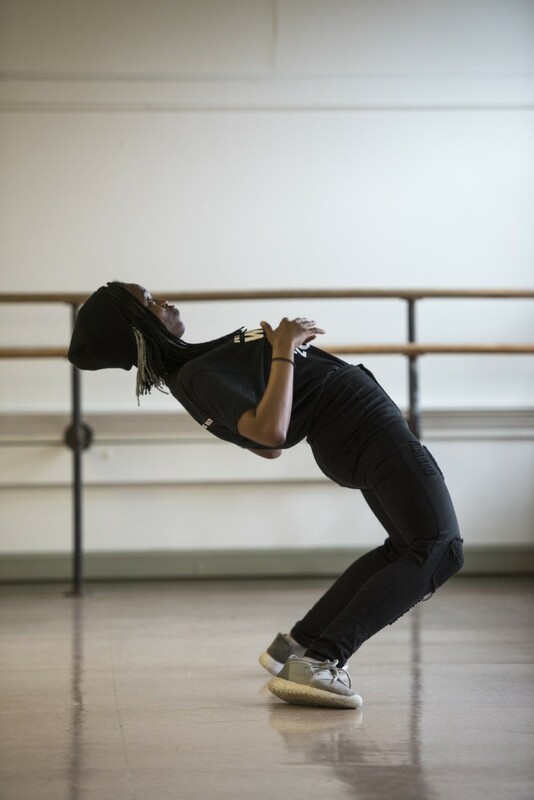 Alberty believes music and dance can act as an adhesive that connects people, an archetype with which everyone can be linked. It’s easier to understand each other if people can connect in something, he said. It also can reveal cultural characteristics about the people who perform them. The music and dance culture in Puerto Rico demonstrates the resilience and hope of the people there. When Alberty returned home to Puerto Rico in December after Hurricane Maria struck the island, many houses, including his, were still without electricity. Everything was desolate, destroyed after the hurricane. The few people with generators invited others inside their houses for food, Alberty said. And when he walked along the dark street, people had gathered in the center to eat, laugh, sing and dance. Salsa is a cornerstone of the Caribbean identity, Alberty said, like a national flag. It’s the bread and butter of Puerto Rico, the music that everybody listens to and dances along with at parties. Heber Da Silva didn’t like to dance as a kid. It was forced upon him in school, where he took many dance classes and had to perform in festivals. As he grew up, however, dance grew on him also. From a touristic, modern city in northeastern Brazil — locals call it the Brazilian Miami — Silva has danced professionally as a freelance dancer in bars, clubs and private parties. Now, he has learned salsa, samba, bachata, zouk, merengue, tango and forro, a musical and dance staple in Brazilian culture. For instance, if you travel to Fortaleza and ask the taxi driver to take you to a place you can dance, the driver will take you to a forro club, Silva said. With African roots throughout Latin America, forro involves dancers staying on the ground with their knees bent. The dance partners move together very closely to each other It’s not sexual, Silva said — it’s just relaxing. The music is an African-based rhythm, but it also has European origins. Three instruments are present in the dance: a bass drum called a zabumba, an accordion and a triangle. Forro’s rhythm is different compared to other Latin American dances. In salsa, for example, the strongest beat is the first, but in forro, the stressed beat is the fourth one. Silva doesn’t remember when exactly he started to dance, as it was just “always there.” When he was a teenager, he went dancing often, as it was a way to socialize and meet new people. When he came to Athens in 2016, Silva, a graduate student studying Latin American Studies, felt bored. Wanting to do something related to Latin American culture, he decided to create his own club called the Samba and Salsa Project. With eight or nine regular members, Silva teaches different Latin American dances. At lessons, he steps with an effortless grace and guides his dance partner around the room, as if he’s gliding a broom gently across the floor. Some of the students at the club are dancing for the first time, but when he leads them, pushing the small of their back to move in a certain way, their inexperience is difficult to see. When he graduates, Silva does not plan on quitting dancing. Gaone Manatong grew up dancing almost every day. It’s something that is just in her. Gaone Manatong, a graduate student from Botswana studying communications and development, dances and poses for a portrait on April 3, 2018 in Putnam Hall. In Botswana, people dance all the time. It’s a way to communicate, to resolve conflicts and to have fun, Manatong, a first-year graduate student studying communication development, said. Her school would have dance competitions, and she remembers practicing every day after school. “It’s such a language that does not need any violence and you can communicate in ways that you understand each other,” Manatong said. Phathisi is a typical dance in Botswana that regions spice up in different ways. Usually, it is a group dance in which they gather to form a horseshoe shape and start singing and clapping while people in the middle dance to that rhythm, Manatong said. The dancers always move in sync with each other. In some cases, men and women dance together, but in other dances they each perform separately. Dance and music is deeply rooted in Botswanan culture. While Manatong was growing up, her grandmother did not have TV or radio and instead would tell each other stories, she said. She remembers visiting her grandmother. They would sit around the fire, and her grandmother would tell her folktales about her experiences as a child. Then she would sing a song, getting everybody to join in, and somebody would get up and start dancing. It was a way to bond and form connections, Manatong recalled. Manatong has joined with the African Students’ Union to practice different dances, and her group is planning to perform at the International Street Fair as well as the African Heroes’ Night on April 21. She wants to represent her cultural dances in the U.S.
She has seen Western pop artists somewhat appropriate African culture. Manatong watched Rihanna’s Grammy Awards 2018 performance and noticed some dance moves from Botswana that involved a lot of leg, feet and hip movements. She thought it was flattering to see someone from Barbados perform her local dance, but wondered why the Grammys did not show a dancer from South Africa. Sanam Azadiamin, a graduate student studying industrial engineering, said dances vary from region to region in Iran, each part practicing its own styles. From the north of Iran, in the Azerbaijani region, Azadiamin said many people dance to what she refers to as the Azeri dance. They dance happily in celebratory circumstances, like weddings and ceremonies, she said. The tempo is usually fast-paced and involves rapid foot movements, as if the dancers are being fast-forwarded with the touch of a remote control. Drums beat briskly, driving the feet to kick and pound. Upon first glance, it’s comparable to Irish stepdancing. The foot stomping is so loud that one time the neighbors called the police while Azadiamin and her friends were dancing. Azadiamin danced with the Iranian Students Society during its two yearly celebrations, Nowruz — the Iranian New Year — and Yalda Night. She often feels shy, but she dances with groups of people. She loved performing for people from different cultures so that they could learn something about Iranians. Some people have an impression that Iranians are sad because of the country’s political state, Azadiamin said. Though she said Iran may have problems, Iranians have a happy nature that is revealed through dance. She bounces along the floor, claps her hands and synchronously stomps her foot to the music. Her multi-colored skirt sways back and forth. Those movements seem natural after years of learning. It isn’t until she stops dancing and her heavy breathing rings out that the dance’s difficulty is portrayed. India is literally a land of festivals, Purva Diwanji, a first-year graduate student studying physics, said. 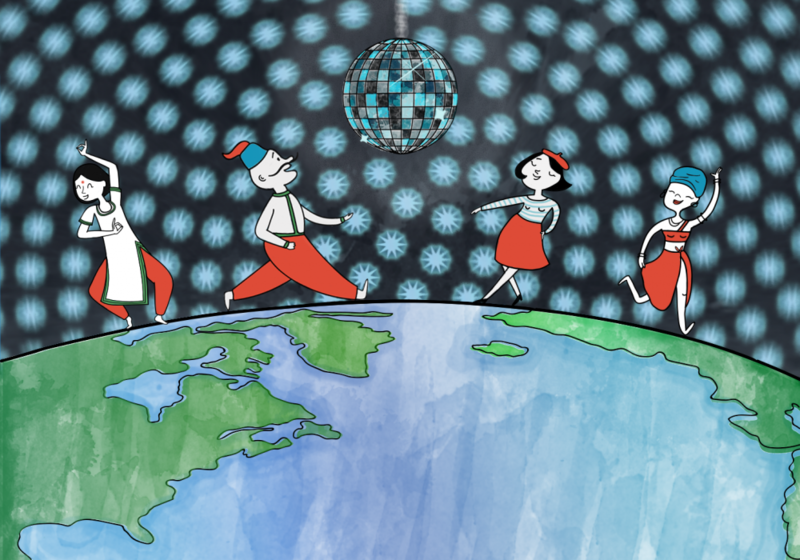 Every month, there is at least one major festival, and no party can be complete without dancing. In the state of Gujarat, every party ends with a garba dance. Garba, which celebrates fertility and womanhood, is a dance that was passed down to Diwanji from her mother, who won awards for the graceful way she moved. In a festival called Navratri, which means “nine nights,” people dance for four to five hours straight into the night in celebration of the victories of goddesses Durga and Shakti. The dancers don traditional dresses called chaniya cholis, elaborate and colorful skirts with detailed ornamentation. The festival is like prom night in the United States, Diwanji said — except it lasts for nine days. Traditionally in India, older men and women would sing songs passed down by word of mouth, and the younger girls would perform the dances in neighborhoods. Now, it has transformed into a grander scale in which the state government organizes a huge festival, which people come from all over to see, Diwanji said. Diwanji performed two songs at last year’s Diwali celebration in Athens with two other people, and they danced to a song called “Nagada Sang Dhol” from Ram-Leela, a popular Bollywood film. When they danced garba, some of her American friends came to watch. They had never seen any Indian dance before and were impressed. One characteristic of Indian dances, especially garba, Diwanji said, is that they tell a story. Garba has become part of her identity. Ever since Diwanji could walk or run, she could dance. Her mother brought her to every Navratri festival each year and taught her the steps. “It was very fun learning to dance from my mom because it was one activity we could do together,” Diwanji said. She remembers when her mother came to a school garba night with her and taught all her friends how to dance. The kids had a good time and were happy that an adult was willing to have fun with them. “That’s a precious memory I have,” she said.